Most reputable scientists now believe that autism has existed throughout the history of humankind. Some have speculated that ancient legends about "changelings" are actually stories of children with autism. Celtic mythology is redolent with stories of elves and visitors from "the other side" who steal a human child and leave their own damaged child in its place. The child left behind is usually mute, remote and distant, staring into space and unresponsive to its adult caretakers. We must bear in mind that in times gone by, and in some cultures today, children who are unlike the average expected child are seen to be victims of evil or some sort. In 1801 the French physician Itard took into his care a boy who had been found wandering naked in the forest. It was believed at the time that the boy had lived alone in the forest since early childhood. The boy could not speak and was unresponsive to human contact. He has come to be known as "Sauvage de l'Aveyron," or "wild boy of Aveyron". Itard's tireless efforts to help this boy mark the beginning of special education. Although autism was not a term used at the time there are those who speculate that the wild boy of Aveyron was a child with autism. The real history of autism dates back only one hundred years to the time of the Swiss psychiatrist Eugen Bleuler. In 1911 Bleuler was writing about a group of people then identified as having schizophrenia. In his writing, he coined the term "autism" to describe their seeming near total absorption with themselves and distance from others. Writing in the early 1920's, Carl Gustav Jung introduced the terminology of extrovert and introvert. 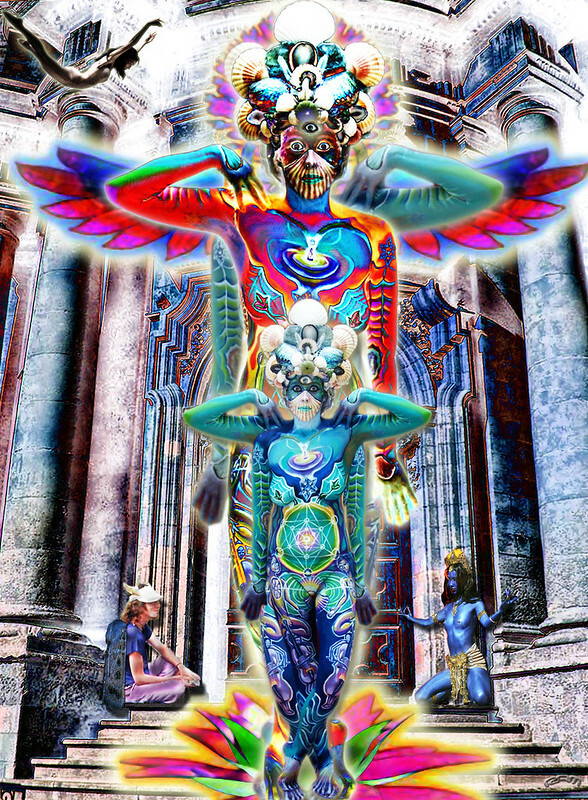 Jung viewed these personality types as being present in all people to one degree or another. However, he noted that in extreme cases, cases that in the language of his day were called "neurotic", a person could become totally absorbed into himself or herself. It was not until the late 1930's and early 1940's in America that the term "autism" joined the official psychiatric nomenclature. Psychiatrists Leo Kanner, who started working with a particular group of children in 1938, and Hans Asperger, both publishing findings and writing in 1943 and 1944, wrote about groups of children they had studied and called either "autistic" or children with "autistic psychopathy". Both authors believe these children displayed a constellation of symptoms that were unique and represented a syndrome not previously identified. As the children they studied seemed unable to engage in normal human relationships they borrowed Bleuler's term "autism" to identify the syndrome. The defining difference between the work of Kanner and Asperger and that of Bleuler is that for the former two the condition they describe is present at birth while for Bleuler the condition appears much later in life. Another important difference in these early pioneers of autism is that Kanner group is quite self-contained and comprised of individuals all sharing the same "core" symptoms. Asperger's group is quite wide, ranging from the children like Kanner's to children with near-normal characteristics. The vestiges of these two differing descriptions, now bearing the names of their illustrious "discoverers" remains to this day. In the literature and in the lay terminology we still hear people described as having "Kanner's autism" or "Asperger's syndrome. Around the time of Kanner and Asperger another famous, indeed in autism circles infamous, name appears. This is Bruno Bettelheim. In 1944 Bettelheim directed the Orthogenic School for Children in Chicago, Illinois. There he worked out his own theory of the cause of autism and started intervention programmes. Bettelheim believed that autism was a result of children being raised in severely unstimulating environments during their early years. He believed it was parents, particularly mothers, who were unresponsive to their children that caused autism. The unfortunate term "refrigerator mother" arose during this time. From the 1980's onward considerable research has been undertaken to uncover the "cause" of autism. So many theories have come forward: genetic, environmental, toxins, endocrine, metabolic, unusual reactions to certain foods or additives and the current favourite, immunizations. Despite all this theorising autism still remains a puzzle. Little scientifically valid evidence supports any particular theory and research continues into the cause of autism. It is now an accepted fact that autism is a neurodevelopment (sometimes called neurobiological) condition. This places the site of autism within the human brain itself, not in the form of physical brain abnormalities that appear on physical examination or X-ray, but rather in the chemical and electrical activity of the brain. It is known that autism is present at birth, is more common amongst boys than girls and is a life-long condition with no "cure". We know that autism can be treated effectively and there are a wide number of treatment options available. It is now known that education is particularly important in the treatment of autism and that early intervention is critically important. Children born with autism can improve along a number of pathways but they will always have autism no matter how seemingly like others they may become. Having said what was said about autism being incurable and a life-long condition there are those who say it can be cured. Interesting forms of treatment being studied in New Orleans, Louisiana involve testing children with autism for low-level presence of lead in their system, then providing treatment to eliminate any traces of autism. This is said to have "cured" over 1,500 children of the condition (personal conversation with the lead physician). It has to be cautioned that such extreme and emphatic statements must be put to the rigorous test of scientific study and that the sorts of assessments being completed on these children in New Orleans are not in favour in Europe at the moment. The neurodevelopment or neurobiological condition is known as autism is highly variable. No two people with autism are alike. Having said that, all people with autism share common characteristics. These characteristics exist along what is called the "Triad of Impairment". There are several sub-types of behaviours that characterise this group of people with autism. They can be quite aloof, behaving as if other people did not exist at all, making little or no eye contact and have faces that seem to lack any emotional display whatever. Less common is the passive group who will accept the advances of others, can be led to participate as a passive partner in an activity and who return the eye contact of others. Another subtype has been called the "active but odd group". These people pay no attention to others, have poor eye contact and may stare too long and often shake hands far too vigorously and strongly. The last subtype is the overly formal and stilted group. They tend to use language in a very formal way when it is not called for, are excessively polite and try to stick to the rules of social interaction but don't really understand them. They tend to have well-developed language skills that can mask their real social deficits. Significant deficits in communication are present, to one degree or another, in all people with autism. They may have problems is using speech (expressive language), ranging from having no speech at all (about 20% of cases) to have very well developed speech. They make repeat words spoken to them (echolalia) or repeat phrases they associate with something they want (e.g. "Do you want to play" instead of "I want to play"). They will also have deficits in understanding speech (receptive language). Confusing between sounds of words can be present (e.g. meat and meet). The difficulty with irony, sarcasm and humour is often found in those with well-developed expressive language. They may have problems understanding when an object has more than one meaning (e.g. soup bowl, toilet bowl). In addition to the problem listed about in receptive language people with autism can often have significant difficulty with modulating their tone of voice and putting expression into what they say. They can sometimes sound robotic and speak with a droning monotone. Sometimes they can emphasise the intonation of certain words with unnecessary force. Sometimes they are too loud, sometimes too quiet (more frequent). It is important to recognise that communication is more than speech. Non-verbal communication is important for human social interaction to proceed smoothly. People with autism have deficits in understand non-verbal communication. They may not be able to interpret facial expression or to use it themselves. They may have odd and unusual body posture and gestures. They may not understand the body posture and gestures of others. People with autism have pronounced difficulty with play or imagining. The lack of the ability to play has a profound effect on the ability to understand the emotions of others, therefore, sharing joy or sorrow with another can be impossible. 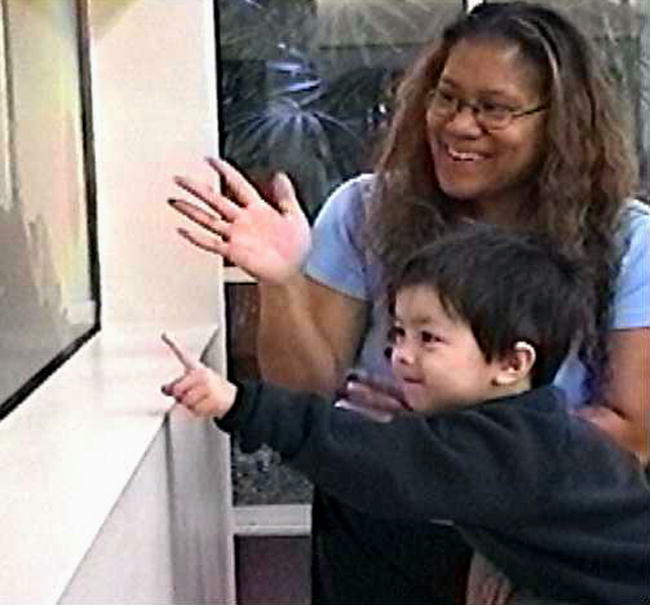 Repetitive and stereotyped movements or activities are often present in autism. They may want to taste, touch or smell things. They may have a need to twirl things before their eyes. Sometimes they may jump up and down and make loud noises. In more severe cases they may bang their heads against walls or floor or pull and scratch at their skin. People with autism have a strong need for consistency and sameness. They become unsettled when routine changes. All these behaviours and characteristics point to a pronounced inflexibility in thinking and behaving. Although every person with an autistic spectrum disorder has deficits in all three parts of the triad each varies significantly in the nature of their deficits. This makes is imperative for people working with children with autism to individualise their interventions. Autism is a highly variable condition with no two children alike and with some children, seemingly near normal but having subtle deficits. In addition to deficits across the triad, there are a number of problems often associated with autism, though it is not known yet if they are caused by autism. Among the most common are: epileptic seizures (particularly in adolescence), sensory integration deficits (difficulty integrating the reception of sensations such as sound, sight, taste, hearing or movement), general learning disabilities, Fragile X syndrome (about 2-5% of people with an ASD), tuberous sclerosis (benign tumours in the brain or other organs, occurs in about 2-4% of people with an ASD), ADHD, Tourette's syndrome and dyslexia. Proper treatment of autism must include appropriate treatment of any associated condition. Many children with autism can be educated in the mainstream with appropriate supports. These supports typically include speech and language therapy, occupational therapy, psychological services and special education. Though they perceive the world differently from those around them they benefit from placement in the mainstream classroom and the other children benefit from having them in their class. People with autism vary to an enormous degree as has been said above. As they progress through the educational system the types of supports they require and the intensity of these supports can vary as well. It is important to recognise that children with autism can be educated and reach their optimum level of potential. The task may be difficult and progress may be slow but progress will be made when supports are present and all work cooperatively together. When autism is severe and accompanied by extremely challenging behaviour such as aggression, self-harm, extreme disorganisation and complete lack of language the education being provided often must take place in a specialist setting. The goal in these settings is to attempt to re-integrate the child back into the mainstream. For children whose autism is of such a severe nature, psychiatric services may be required as an adjunct to the educational programme. People with autism can be educated and a great many of them can enter the workforce, sometimes independently and with great success, at other times requiring the support of a job coach and in some cases may require sheltered work settings. As well as entering the workforce many people with autism can live independent lives, some will require structured and supported accommodation and some will require accommodation is specialist settings. Considerable research is underway to investigate the exact nature of brain functioning in a person with autism. A lot is being learned but there is more to be learned in the future. What is known now is that there seem to be differences in the brain functioning of people with autism? With advances in neuroimaging, it is now possible to look at the brain with performing an autopsy. This makes it possible to study how the brain works while it is working. These imaging methods (CT scans, MRI scans PET scans and others) have shown that there seem to be a number of brain structures associated with autism and autistic spectrum disorders. These include the cerebellum, cerebral cortex, limbic system, corpus callosum, basal ganglia, and brain stem. These structures are responsible for cognition, movement, emotional regulation and coordination as well as a sensory reception. Other studies are looking into the role of neurotransmitters such as dopamine, serotonin and epinephrine. There seems to be a genetic factor involved in some of these brain dysfunctions and some research indicates that unusual brain growth may take place in the first three months of life, is a genetic factor and that results in autism appearing in early childhood. What is being learned turns other theories, such as Bettelheim's, upside down. Autism is no one's fault. It is a neurodevelopment disorder affecting more boys than girls (4:1), occurring in about 3-6% of the population. This makes autism less common than general learning disabilities but common than cerebral palsy, hearing impairment and visual impairment. Translating these statistics into something more comprehensible it can be said that about 1 in 500 to 1 in 150 people will be born with autism. The implications for these figures are alarming because it means that virtually every school in the country has a child on the spectrum and that the vast majority of these children have not been diagnosed and are perceived in a pejorative light by their teachers, sometimes seemingly odd or obstreperous and sometimes lazy or unable to learn. Autism is a family condition. When there is one child in the family with autism there is a condition present that affects every single-family member including those who do not live in the same home. On receiving a diagnosis of autism parents sometimes feel a certain relief, now knowing that it isn't their fault the child is different. Others react with anger, grief, shame, denial or rage. Sometimes they become angry with the diagnostician and refuse to believe the findings. Although diagnosis at an early age is a good predictor of a successful outcome if appropriate treatment is provided it is always accompanied by considerable trauma to family life. The impact of the diagnosis is always greatest on the mother. The impact of living with a person on the spectrum has been shown to be harder on the mother than the father. The lessened paternal impact has a lot to do with factors associated with the gender role of the man in the traditional family: out of the home and working much of the time. Mothers are left in the major caretaker role and face the day-to-day stress of rearing a child with autism. For fathers, the major impact of autism in the family is associated with the stress it puts on the mother. Figures in the US seem to indicate that the divorce rate in families of children with autism is not higher than in other families. This is something that has not been studied extensively in other countries however one study conducted in the UK indicates that the lone parent rate in families with autism is 17%, compared with 10% in other families. Studies have shown that the emotional impact of autism on the mother can be quite severe. Many mothers experience enough emotional distress to require medication or psychotherapy. One study showed that 50% of mothers of children with autism screed positively for significant psychological distress and that this was associated with low levels of family support and bringing up a child with challenging behaviour. Another study raised this figure to 66%. The emotional stress on the mother appears to have a significant effect on the work status. Many cannot work outside the home. For those that manage to work outside the home, there is an increased incidence of tardiness, missed days and reduction to part-time status. Mothers are also the person most likely to be held responsible for their child's behaviour by others outside the family including neighbours and teachers. Mothers tend to cope differently with these stresses than fathers. Fathers tend to hide their feelings and suppress them, the result often being increased episodes of anger outburst. Mothers tend to cope by talking about their difficulties with friends, particularly other mothers of children with autism. They also cope by becoming avid information seekers, often knowing more about autism then the educators of their children. The impact of autism on the siblings is not to be underestimated. They know from an early age that their brother or sister is "different". They will have a great many questions but most often don't ask them for fear of hurting the parent's feelings. The will have a deep love of the sibling with autism but this love is sometimes associated with anger and resentment due to the increased time the parents spend on the sibling with autism. They will often worry about their own future and obsess about whether or not they will "get" autism or will they pass it on to their own children one day. The impact is not always negative and several studies have shown that being a sibling of a child with autism is associated with greater self-confidence and social competence. Care-taking skills often improve as well. Levels of tolerance to difference can be higher than in the siblings of children who do not have autism. So, what do we know about the impact of autism on the family? It is a mixed bag of results. At times it can be devastating, at other times it can lead to higher levels of coping skills and a sense of self-mastery. A lot depends on the family itself and the community in which it is embedded. A lot more depends on the supports and treatments available, especially the educational interventions and supports that can be provided. One this is certain: autism is a family condition affecting everyone. There is not one set treatment for Asperger's syndrome. You will not find a medication that will cure a child with Aspergers. Instead, you will find several treatments to help with the problems associated with Asperger's syndrome. Here we will examine some of the treatments used with Asperger's syndrome. Children with Asperger's syndrome have a hard time understanding facial expressions, and tone of voice. They tend to take everything said to them very literally. They do not know when a person is joking with them. Children can be taught to recognize changes in peoples voice, and what different facial expressions mean. They also need to be taught how to use better eye contact. This type of training can help the child to make friends. They are taught how to act around other people. Some children with Aspergers want to be around other kids, they just do not know how to act with them. They can be taught how to act when out shopping, or at a restaurant. This type of therapy teaches the child with Asperger's syndrome to find ways to cope. They are taught ways to reduce anxiety. They learn how to spot a situation that can cause them trouble. Then they learn techniques to cope when they are in that situation. Asperger's children often have a lot of anxiety. They have a hard time in social settings. They can have anxiety attacks or complete meltdowns. The Cognitive therapy teaches them ways to stop the meltdowns from occurring. This therapy will teach a child with Aspergers that when they feel an unwanted behaviour coming on something they can do to stop it. They are taught how to remove themselves from a situation that makes them uneasy. There is no medication that will treat Aspergers. However, there is medication to help with some of the symptoms of Aspergers. Many children with Aspergers have anxiety and depression. There are medications that can help relieve these problems. Relieving the anxiety can help the child feel more comfortable in social settings. Medications like these can have side effects. You will need to monitor your child's behaviour while they are on the medication. Some children with Aspergers have a hard time sleeping. There are medications to help the child sleep. There is training for the parents of Asperger's children. This training consists of ways you can deal with behaviours. Learning things that can help to calm your child down when they are having a meltdown, or anxiety attack. Parents are taught ways of using reward systems to control behaviour problems. They are taught how to deal with the behaviours in the home. This helps them to deal with behaviours in other places too. With these treatments, the life of an Asperger's child can be easier. If no treatment is given children with Aspergers can have trouble with depression, and anxiety. They have such a hard time dealing with people socially they might turn to alcohol or drugs to relax them. Getting a treatment plan that works is a number one priority for your Aspergers child. Sometimes when a parent gets a diagnosis of Autism they go through a grieving period. They are sad that their child has something wrong with them. They may be feeling sad that the dreams they had for their child may have to change. They might be sad over the way the world will treat their child, and the hardships they will face. Grief is a normal emotion to go through. The key is to get through the grief, and on to the acceptance. Try not to look at the things that are wrong. There will have to be some adjustments made to your plans for your child's future. That is what life is all about, change. If you find yourself unable to move past the grieving stage you might need to talk to someone. It might help having a few therapy sessions to deal with the feelings you are experiencing. Finally coming to terms with the diagnosis of Autism can take awhile. Some people are just glad to have an answer to what is wrong with their child. Others have a hard time accepting their child is different from other kids. Eventually, you will accept that your child is different, and that is okay. Once you have accepted the diagnosis of Autism you can start to help your child. Do all the research you can on Autism. Think about how hard it is for your child. They need you to be behind them in their treatments one hundred percent. The first step to doing this is acceptance. 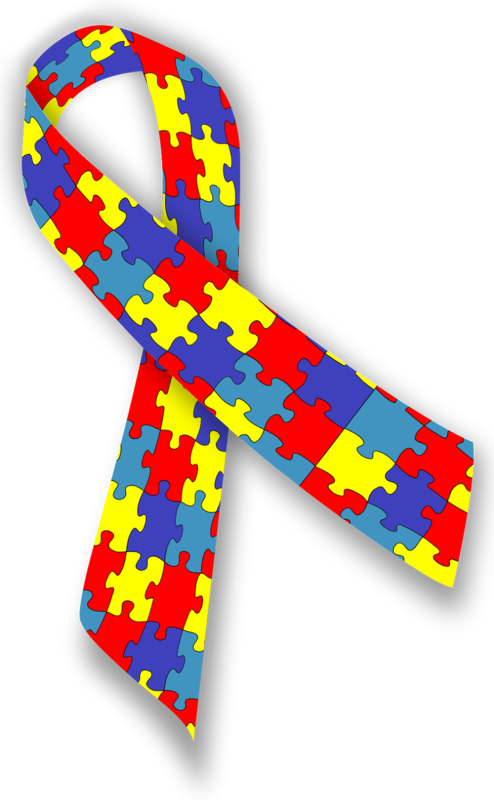 A "puzzle" ribbon to promote Autism and Aspergers Awareness. This is a question that every parent of an Autistic child will ask at some point. The answer is no. There is no cure for Autism. While you may see ads for books, or products that promise a cure for Autism, they are misleading you. Autism has no cure. There are lots of treatments that can make living with Autism easier. Here are some of the treatments that help with Autism. 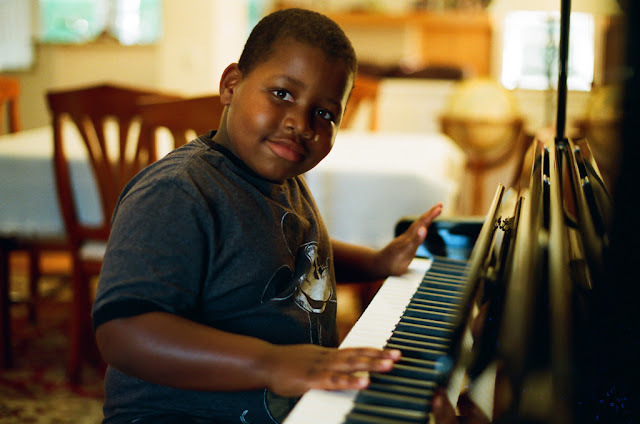 There are several types of therapies that can help with the treatment of Autism. Occupational, physical, behavioral, speech, music, sensory, drug, play, and many other types of therapy can make a big difference in the life of an Autistic child. The therapies will not cure your child's Autism. They will just help teach them different ways of coping with it. Natural and alternative treatments are on the rise. These can include the use of herbs instead of prescription medications. The herbs do not have the side effects found in traditional medicines. 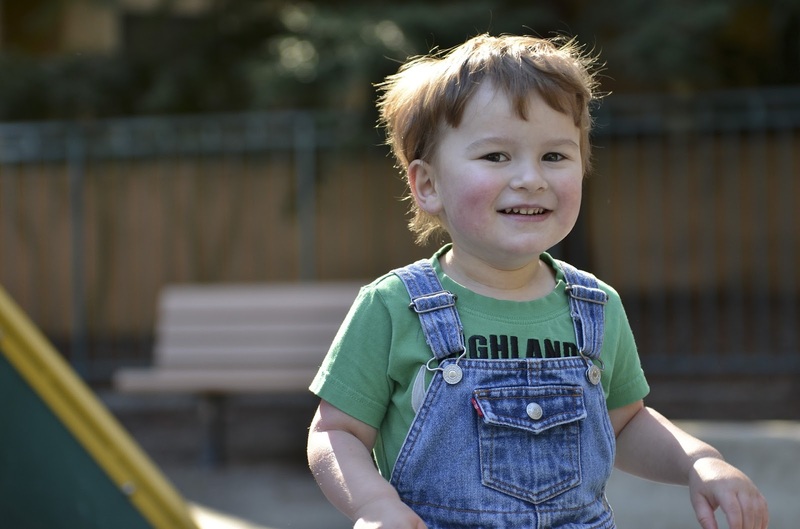 Vitamin and mineral supplements are being found to help in treating Autism. Always notify the doctor of any natural products you are using with your child. Some herbs can have interactions with prescription medications. Remember again these herbs and vitamins are not cures. They are just to help with some of the symptoms of Autism. Some people turn to the diet when treating Autism. They eliminate certain foods that could cause sensitivities. Some of the foods the remove from the diet are Gluten, dairy, and artificial dyes. The idea behind this method is that removing the foods that cause sensitivities will remove the behavior problems. You can have your child tested for food allergies. Ask your child's doctor about allergy testing. This will let you know if your child could be having behaviors due to a food allergy. It will also give you an idea of which foods to eliminate from their diet. There is no cure for Autism, but there are lots of treatments that can help with some of the symptoms. When trying a new treatment only try one at a time. This will let you know if it is helping or not. Allow enough time for the treatment to work. Usually two or three months is enough time to tell if a new treatment is working. There will be no miracle treatments that give immediate results. If you are using a herbal or vitamin treatment inform the doctor. They need to be aware of the things you are trying. Herbs and vitamins can cause reactions with other medicines. It is important that the treatment team be kept informed and on the same page. This will make your child's outcome a more positive one. Do not waste your money on products that claim to cure Autism. If there was a cure available it would be told to you by your doctor, instead of some guy on a late night infomercial. Continue to help your child by treating the symptoms of Autism. This will help your child have a better life. ·learning difficulties i.e. he lacks in ability to learn inductively from surrounding events,·communication or speech problems,·difficulty relating to people, marked by a lack of awareness of the feelings of others, indifferent to parents·lack of social interaction,·short attention span,·not exhibiting creative or imaginative play,·performing actions that are often repetitive and unchanging like twirling objects or rocking,·reacting extremely to changes in the immediate environment. Autistic children appear to lack the ability to see things from another person's perspective, a behavior cited as exclusive to human beings above the age of five and possibly in some primates. Autistic traits continue into adulthood, but vary in severity. Some adults with autism do well, earning college degrees and living independently. Others never develop the skills of daily living, and may be incorrectly diagnosed with a variety of psychiatric illnesses. Autism is a pervasive developmental disorder with an unknown origin. It is a bioneurological disorder and not a mental illness, which affects the functioning of the brain. Some theories suggest that it may be caused by genetics, viral and/or chemical exposure during pregnancy. Diagnosis is based on a list of psychiatric criteria as well as a series of standardized clinical tests are also used. Surprisingly some autistic individuals may be outstandingly good at some kinds of mental manipulations for example, arithmetical calculations, music, drawing etc. With intense therapy, practice and schooling, some children diagnosed with autism can improve their social and other skills to the point where they can fully participate in mainstream education and social events, but there are no indications that a cure from autism is possible with current technology or advances in medicine. Asperger's syndrome and developmental delay syndromes are two of the related categories of Autism. These syndromes exist because of brain circuitry problems. A key indicator to physicians making a proper assessment for autism would include looking for symptoms found in ‘sensory integration dysfunction’, where children will exhibit problems such as oversensitivity or under-reactivity to touch, movement, sights, or sounds; physical clumsiness; poor body awareness; a tendency to be easily distracted; impulsive physical or verbal behavior; an activity level that is unusually high or low; not unwinding or calming oneself; difficulty learning new movements; difficulty in making transitions from one situation to another. Autistic people may experience difficulty in hearing certain people’s voice while others’ are louder than usual.